A standout amateur boxer, LaBarba captured the flyweight gold medal at the 1924 Olympic Games and turned professional shortly after. Three of his first five bouts came against Hall of Famer Jimmy McLarnin (L4, D4, L10). Less than a year after turning pro, he defeated Hall of Famer Frankie Genaro over 10 rounds for the American flyweight championship. 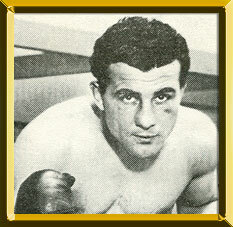 He next captured the vacant world title in 1927 from Elky Clark. In 1928 LaBarba shocked the boxing world when he decided to leave boxing and enroll at Stanford University. However, by 1929, he was back in the ring, campaigning as a bantamweight. After splitting two fights with Hall of Famer Kid Chocolate, he unsuccessfully challenged Hall of Famer Battling Battalino for the world featherweight title. He would again challenge for the world championship, this time against Kid Chocolate on December 9, 1932. Hampered by an eye injury suffered in training, he lost a closely contested 15 round majority decision. He only boxed 3 more bouts before retiring from the ring and returning to Stanford where he earned a degree in journalism. During his career LaBarba registered victories over such notables as Memphis Pal Moore, Bushy Graham, Bud Taylor, Tommy Paul and Petey Sarron among others. Post boxing, he served in the Army during World War II and also found work as a sports writer, a screenwriter, technical advisor for boxing films, and in pubic relations. LaBarba also served on the California State Athletic Commission. LaBarba died in Los Angeles in 1981.